Hi all! I just bought a 1998 superhawk with 10,000 miles. She has been sitting for 10 years but is in absolute pristine condition. Unfortunately she wasn’t properly fuel stored. I’m relining the tank and have the carbs off, they are gummy and not rotten thankfully, and I’ve been reading all the posts about do’s and don’ts. Besides the obvious tires and oil is there anything else I should look at while it’s apart? I would at least measure the valves (not that they'd go bad from sitting, but since you're there...). And put new coolant, brake and clutch fluid (any DOT4 from a new bottle). Also inspect all hoses for cracks- and even if they look right, I'd replace at least the front brake lines for my peace of mind. 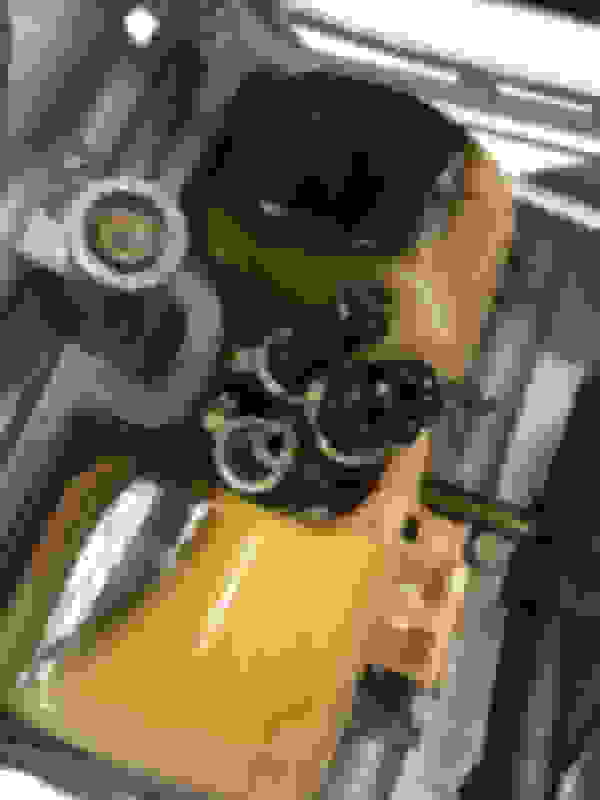 A bike sitting that long needs to have the Cam Chain Tensioners (CCTs) replaced. There are 2 options on what you can replace them with and their are lots of different posts on the topic. The regulator\rectifier should also be upgraded but not mandatory. Other than that, just the normal change all the fluids (including fork oil) and get new tires. My own experience was with a ST1100 that was stored covered but exposed to humidity for 10 years. I had the same carb issues as you, the biggest problem turned out to be electrical with some corrosion in connectors that prevented reliable sparks at higher revs. My suggestion is to pull all the connectors apart, clean the terminals, and apply some corrosion prevention e.g. Oxgard or dielectric grease. You are sure to need a new battery, and I would suggest aclose look at the battery earth strap where it attaches to the frame. Don't ignore the fuses either. I'm gonna say firstly that those carb pics are going to give me nightmares. For sure brake & clutch fluid, install fuel filters inline. Coolant of course. Did I mention the nightmares. Geesh. Awesome bike though. Like a time capsule. Last edited by smokinjoe73; 06-05-2018 at 09:42 PM. Awesome find, I am probably going to have to do something similar to a VTR I am picking up this weekend. I am curious, how much did you pay and where are you located? The one I am picking up has 16k on it but has been sitting for 8 years. Thankfully they drained the carbs. I purchased the bike for $900, and I’m in Bellingham WA, after removing the carburetors I’ve decided to purchase another set. Everything is frozen solid on them. I do plan on replacing all fluids as well. All good ideas. I’m curious about the CCT’s though and why sitting would damage them. I believe my mechanic skills are good but I’m a bit nervous about that part. Wow, great price. 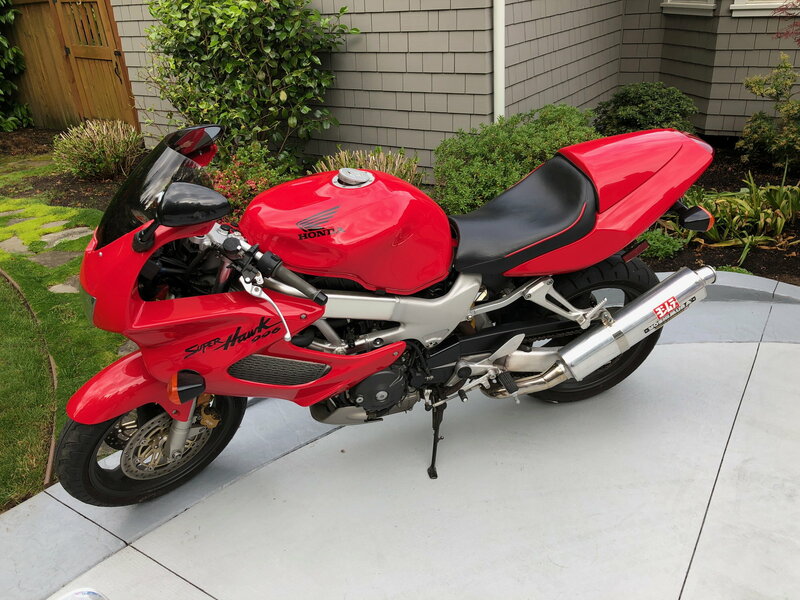 I am picking mine up for $1200, but it has history/receipts for everything done to the bike and it seems like decent bikes are more expensive up here in the northeast for some reason., I do wish mine wasn't street fightered out, but it will be alright. I will definitely follow along with your rescue, good luck and keep us posted! I’m curious about the CCT’s though and why sitting would damage them. I believe my mechanic skills are good but I’m a bit nervous about that part. Find someone local with an ultrasonic cleaner. Save some coin. As long as you read the instructions from the service manual and are careful to align all the marks from all sprokets connected to the timing chain it's impossible to mess up. IMO if there's no noise, leave the CCTs alone. Quick Reply: 1998 superhawk, 10,000 miles, sitting for 10 years.